DDI is committed to maintaining a skilled workforce and improving and developing each employee’s capabilities. DDI offers a variety of experiences for staff who would like to continue their education and learn skills to enhance their current roles and grow professionally. Our Direct Care Staff are encouraged to take advantage of DDI’s Reaching-Up Program. This exclusive program partners with both Suffolk and Nassau Community College in order to provide opportunities to pursue higher education by obtaining college credits. The Reaching-Up Program can open doors for staff who would like to continue their education and learn skills to enhance their current roles and grow professionally. DDI has introduced a new Internet-based staff training and development program - Relias LMS. This is a customized training website that helps us achieve our ongoing training and in some instances, continuing education units (CEU) requirements. Staff readily explore the many links presented on the Relias platform and can now fulfill many of their annual, biannual and triennial recertification training requirements online. The new Relias platform offers numerous elective courses as well as on-going technical support. DDI’s Leadership Institute is designed to equip managers and supervisors with the skills needed to navigate and respond effectively to the many and varied challenges that arise in their programs. This in-depth training helps DDI leaders understand the key components of a high-performing work environment and foster a culture of dignity and respect that aligns with DDI’s mission and values. DDI‘s Leadership Institute provides learning opportunities across multiple platforms including both in person and virtual training events. Developmental Disabilities Institute (DDI) is approved by the New York State Education Department to provide mandated training in the needs of children with autism to new special education teachers seeking certification and to new administrators and supervisors of special education. 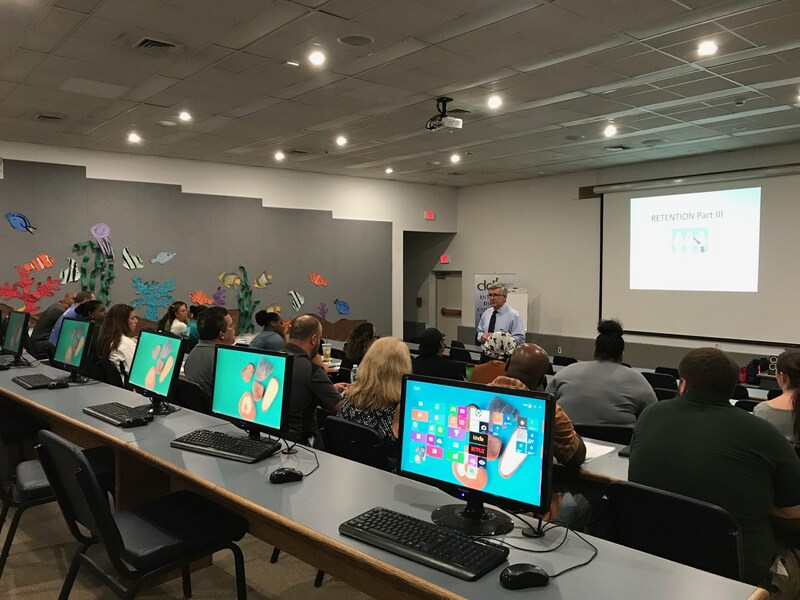 The three-hour training program, which is offered without charge to DDI staff, has been developed in accordance with NYS Education Department‘s Autism Syllabus. The coursework will enhance the participant’s understanding of autism spectrum disorders by providing an overview of the disorder and introducing evidence-based instructional methods and interventions. This course is available to all who are interested (not just special educators and administrators). Participants receive a State Education Certificate of Completion. An internship at DDI can be the key to your career success. We have various internship opportunities available in Psychology, Applied Behavior Analysis, Social Work, Speech, Occupational Therapy, Physical Therapy, Special Education, and Administration. DDI offers flexible internship opportunities depending on the needs of your school and your schedule. Most interns completing a “for credit” internship require an interview with the designated preceptor and coordination with your College Internship Coordinator.